Mary Ellen. Beloved wife of the late James D. Breed. Devoted mother of Thomas J. (Annette Kartal DiGirolamo) Breed and Jerome (Mary) Breed. Cherished grandmother of Shawn, Jennifer, Shelby, Logan (Mary), Brennan (Catherine), Amanda (Mark), and Connor (Kathryn). Loving great-grandmother of eight. Dear sister of the late Kenneth Lavin. Also survived by 5 nieces & nephews. 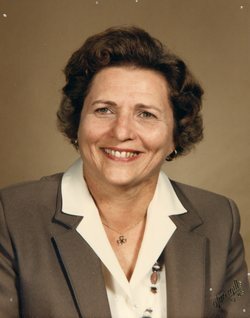 Mary Ellen passed away on January 2, 2018 at the age of 92 years. Attended Northminster Presbyterian Church. Very active in the Evergreen Retirement Community. Very civic-minded locally and in Indiana. Visitation will be held on Sunday, January 7th from 2 PM until time of the Funeral Service at 4 PM at the Paul R. Young Funeral Home, 7345 Hamilton Ave., Mt. Healthy, OH 45231. Interment at Calumet Park Cemetery (Merrillville, IN). In lieu of flowers, Memorial donations can be made to Hospice of Cincinnati, P.O. Box 633597, Cincinnati, OH 45263-3597 and to Northminster Presbyterian Church, 703 Compton Rd, Cincinnati, OH 45231. Online condolences can be made at www.paulyoungfuneralhome.com .